Macaroons are a fun alternative the the usual cookie that we eat. We use to eat macaroons all the time when we were kids. Yes, they were a yummy treat for us to enjoy. However, those macaroons from my childhood were also really sweet. They were actually a bit too sweet for me to enjoy too many of. Have you ever noticed that there are two different kinds of macaroons? There is the traditional coconut macaroon- the kinds that I was brought up on. And, then there is the other kind of macaroon- known as a “Macaron”. The Macaron is a french version of the cookie that really resembles the traditional macaroon in no visible manner. That french cookie is more of a cookie sandwich that varies in colors- albeit pretty spring-like colors. The traditional macaroon is a basically a coconut cookie. I say that because is resembles a ball of coconut flakes in a lot of ways. The important part of our sugar free recipe is that you use coconut flakes that have not been sweetened. You can find unsweetened coconut flakes easily online. We will also be adding sugar alternative to this recipe. Since we are not adding sugar in our flakes, we need to make our cookies palatable. Not sure what sugar alternative to use? 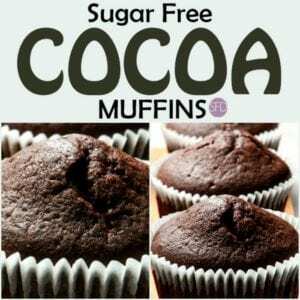 You can check out my guide on baking with sugar alternatives on Amazon I have some great tips on which alternatives may work in a recipe such as this one. Also, be sure to follow me on facebook and subscribe to my recipes via email to keep up to date as well. 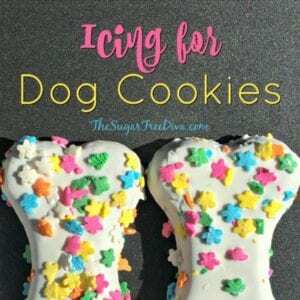 I have other sugar free cookie ideas that you may be interested in. My sugar free butter cookies could be my favorite one. 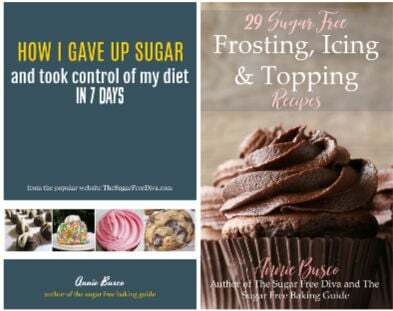 I also have a sugar free yummy brownie cookie recipe and my sugar free lemon bar recipe. 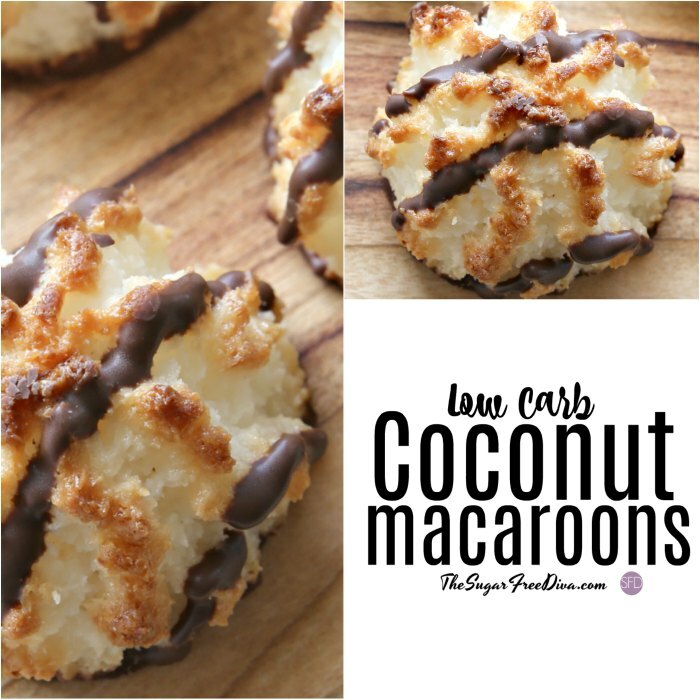 What you will need to make Low Carb Coconut Macaroons. Unsweetened coconut flakes- 1 14-15 ounce package (about 5 cups). Sugar Alternative- equivalent to 2/3 cup of sugar. I use granular alternative. Vanilla Extract (can sub in almond or other extract)- 1 1/2 teaspoons. Optional-sugar free melted chocolate to drizzle over finished cookies. Preheat your oven to 325 and prep a sheet pan for nonstick. I use parchment paper. If you are using something else, be sure to grease it up well. Both methods should be lightly topped with some sprinkled flour. In a mixing bowl, combine together the coconut flakes, sugar alternative, salt and flour. Add the vanilla extract to the bowl and then fold in the egg whites. Use a tablespoon or similar sized item to scoop up each macaroon from the mixing bowl and place it onto the pan. Leave at least an inch between cookies. Bake for 20-25 minutes or until they begin to brown. Allow the macaroons to cool on a rack before serving. Optional- drizzle sugar free chocolate, that has been melted, over your cookies. 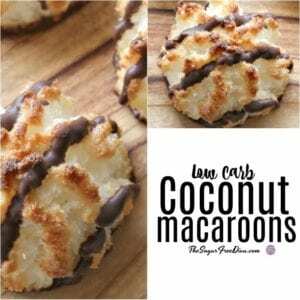 An easy recipe for macaroon cookies without adding all of the sugar. 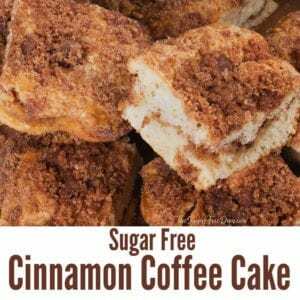 This recipe is low carb and sugar free. Unsweetened coconut flakes- 1 14-15 ounce package about 5 cups. Vanilla Extract can sub in almond or other extract- 1 1/2 teaspoons.